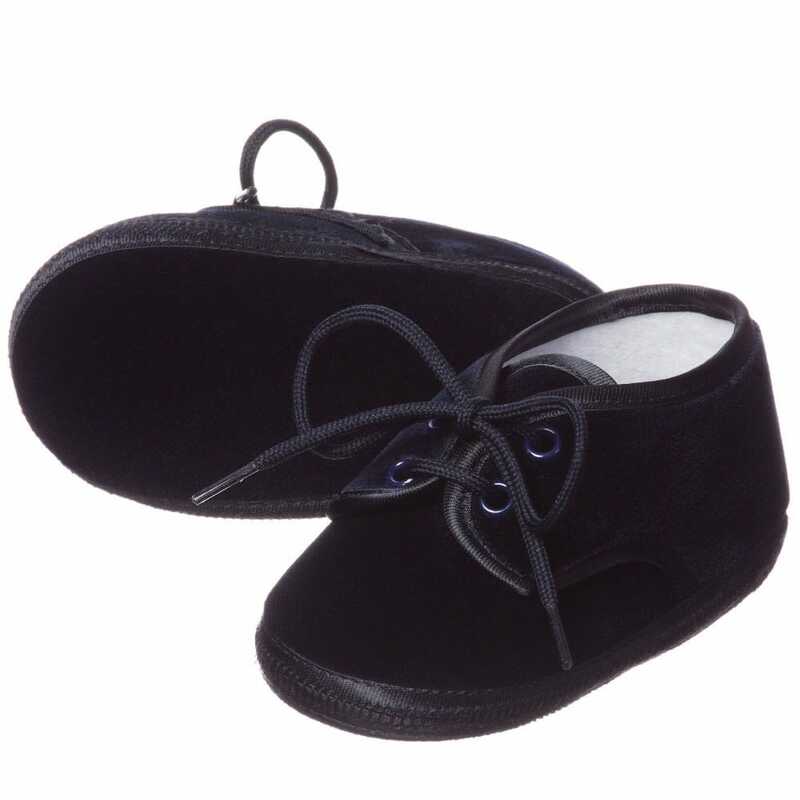 These pre-walker blue velvet shoes by Aletta are perfect for your baby. Made in Italy. They are very soft and flexible to wear due to the high quality sole. 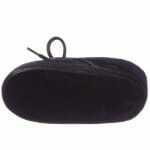 The materials are 73% cotton and 27% modal (soft velvet). It fastens with laces. 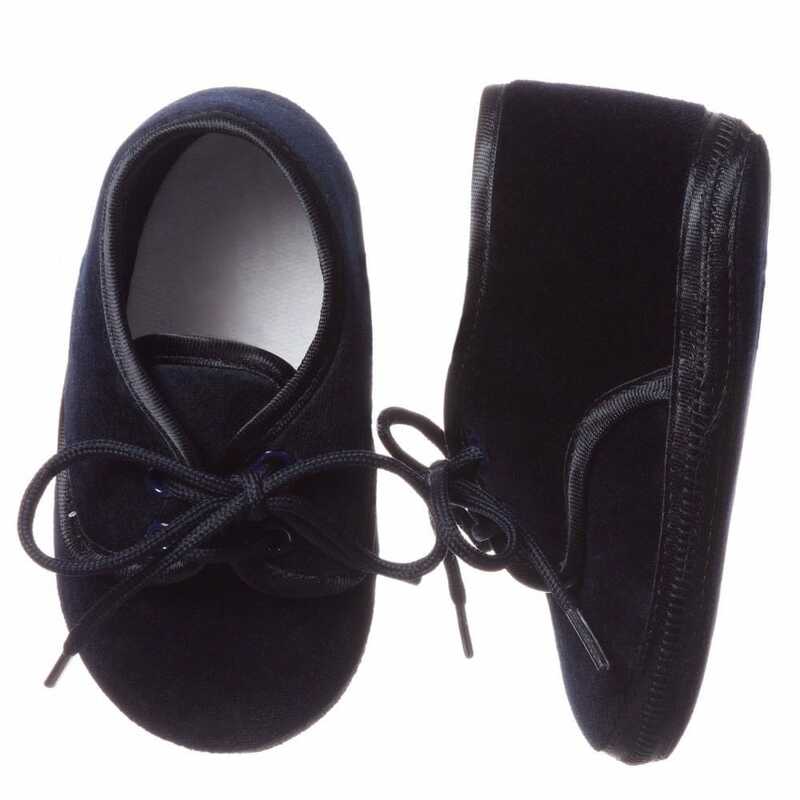 This model is available in several different sizes for children at any age from 0 to 12 month.